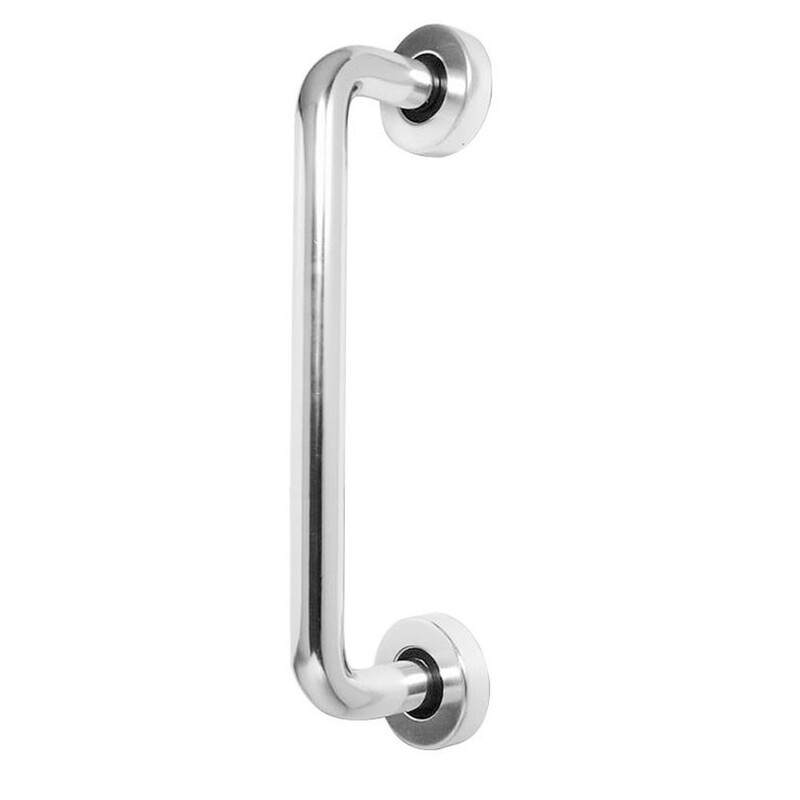 The Asec Round Rose Aluminium Pull Handle is held in place top and bottom with 3 screws which are in turn covered by the round rose thus giving a clean and stylish finish whilst being easy to fit. It is of round bar construction and allows people of different heights and abilities to still gain sufficient grip to open the door. Concealed screw heads. Each end of the bar is secured by 3 screws. Easy to install. Supplied complete with fixings. Round bar construction.